Atlas Obscura on Slate is a blog about the world’s hidden wonders. 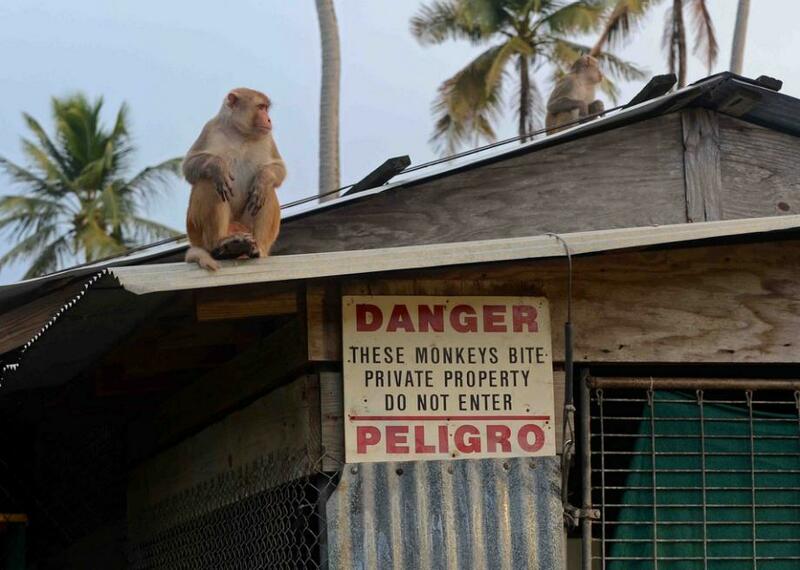 In this recent post Ella Morton presents a gallery of photos on Puerto Rico’s Monkey Island. Follow the link below for the original report and the photo gallery. Monkey Island is real! Not the Guybrush Threepwood, Mighty Pirate version, but a research facility overrun with primates. Half a mile off the eastern coast of Puerto Rico is Cayo Santiago, an island teeming with free-ranging Rhesus monkeys. Researchers from Harvard, Yale, and the University of Puerto Rico’s Caribbean Primate Research Center visit the island to study the monkeys’ behavior, development, communication, and physiology. The simian population numbers around 800. All monkeys on the island are descendants of the 409 monkeys imported from India in 1938 to establish the facility. Cayo Santiago has no human inhabitants — researchers commute to and from the Puerto Rican city of Humacao each day. Visitors are not permitted, and with good reason: Rhesus monkeys may carry Herpes B, a virus that can be fatal to humans. Kayak trips to Monkey Island leave from Punta Santiago. You’ll be required to stay 30 feet from the island, which is still close enough to spot some monkeys running wild. Visit Atlas Obscura for more on Monkey Island.